TVXQ have come in at first place on ‘Music Core’, making this their second major music broadcast win since coming in at first place on ‘Music Bank’. The episode of ‘Music Core’ that aired on the 18th was run by Noh Heung Cheol, B1A4 and Kim So Hyun, and TVXQ beat out Girls Day and Ailee with their song ‘Something’. 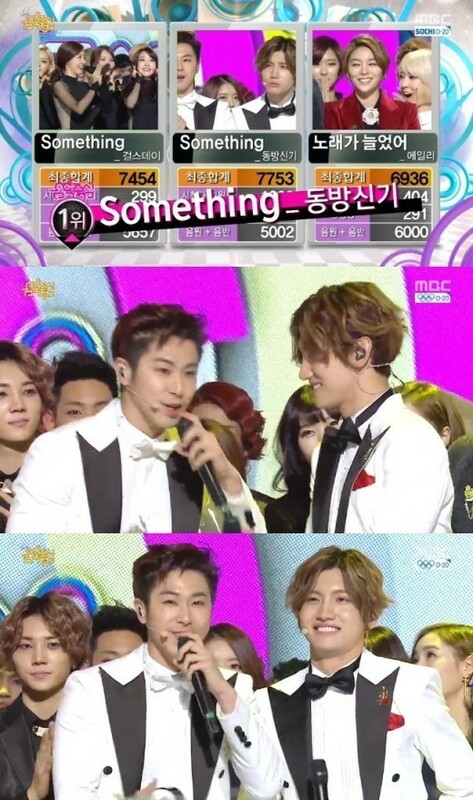 TVXQ also came in at first place on KBS2’s ‘Music Bank’ on the 17th. U-Know Yunho had everyone laughing when he kept his promise of spinning seven times before singing.